Avoid vain babblings – I Am Not Ashamed Of The Gospel Of Christ! There are days that pass without any occurrence of contention,but on those days when we are faced with a gossip before us or one who loves to argue its important you keep your peace as Timothy was instructed to avoid vain babblings! (1 Timothy 6:20-21). 20 O Timothy, keep that which is committed to thy trust, avoiding profane and vain babblings, and oppositions of science falsely so called:21 Which some professing have erred concerning the faith. Grace be with thee. Amen. Scripture teaches a talebearer (gossip) does not add anything good to our lives as a believer,all they do is cause strife and their words destroy much good(Proverbs 26:20-25). 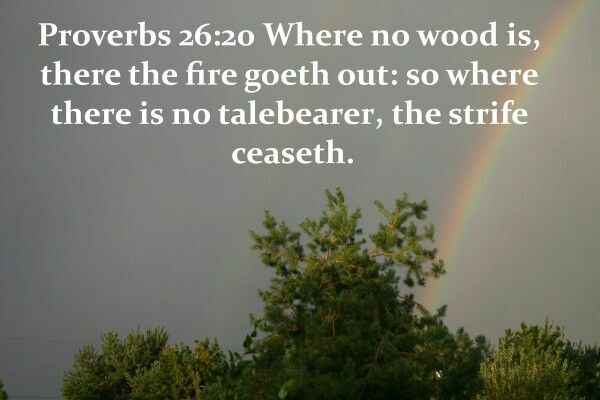 20 Where no wood is, there the fire goeth out: so where there is no talebearer, the strife ceaseth.21 As coals are to burning coals, and wood to fire; so is a contentious man to kindle strife.22 The words of a talebearer are as wounds, and they go down into the innermost parts of the belly.23 Burning lips and a wicked heart are like a potsherd covered with silver dross.24 He that hateth dissembleth with his lips, and layeth up deceit within him;25 When he speaketh fair, believe him not: for there are seven abominations in his heart.